Antonio Conte holds talks with Chelsea midfielder - Promises more game time this season. 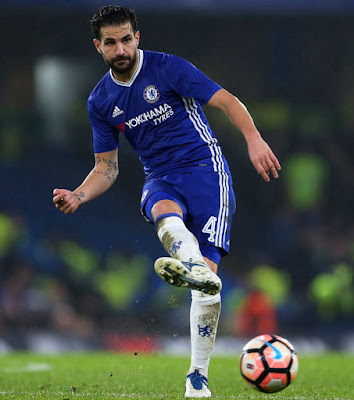 Antonio Conte had called a meeting with Cesc Fabregas at the start of Chelsea's pre-season campaign to re-iterated that he is in his plans for the coming season and that he will start more games. I have to say it looking back now that the season is over and we have started preparing for the new campaign, Cesc Fabregas was different class both on and off the pitch. For someone who would be a regular starter in most Premier League teams, someone who has earned the right to be named as one of the League's biggest stars with so much experience, to face the majority of the year on the bench and being used as a substitute but to not complain or fall-out with the manager, but to remain focused on being ready when he was called upon is fantastic. What absolute class from the Spaniard. When he did come onto the pitch or when he started games, he demonstrated his class and made telling contributions in games scoring 7 goals, making 13 assists in just 37 appearances with only 18 of those being as a starter. There are players in the game, there are players with talent, there are those with immense talent and there are those that stand out and almost have an aura about them. Cesc Fabregas is one of the latter, a special talent that has that aura about him that people instantly recognise when he is on the ball. As we have seen through the years at Arsenal, at Barcelona and now at Chelsea, he can create something from nothing, he can pick a pass that others do not see and has the ability to put the ball on a ten-pence as the old saying goes. So to the news that Antonio Conte has promised Cesc more game time and that's fantastic news for all of us especially if he can develop a devastating partnership with the incoming Alvaro Morata. It will be interesting to see how Conte decides to incorporate Fabregas into the make up of the side and if he decides to start with a different formation this time around. Personally, I think he will stick with the 3-4-3 this year but will also look at maybe a 4-3-3 formation with Fabregas playing alongside Bakayoko and Kante but in a more advanced position. 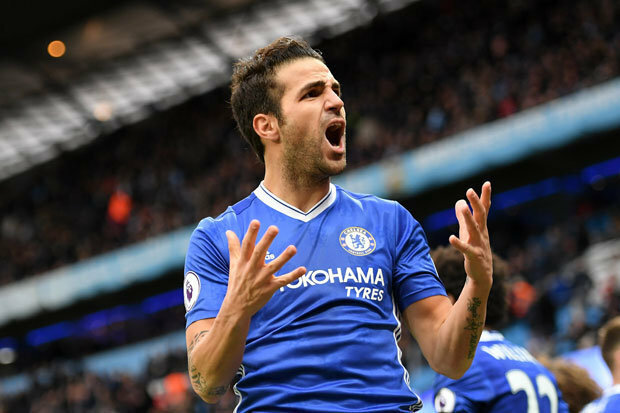 After a season that personally wasn't the best for him as far as the amount of games played (despite winning his second Premier League title), in addition to a decision being made to sell Nemanja Matic, Cesc Fabregas has to be looking forward to this year.